While Neil and Doug were looking at the water well repair project outside Ekwendeni, they came across this bridge (well, it was at one time) across the river. The track across the bridge is the villagers link to hospital, school and trading centre. 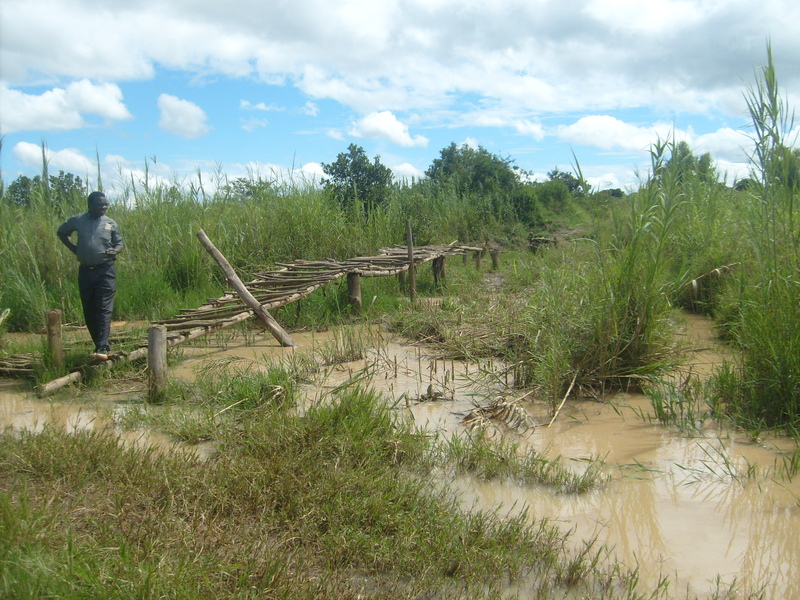 In the rainy season it is impassable. Neil carried out a survey of the area and funds have now been secured to build a new bridge using local labour. The village chief is thrilled that, at last, the villagers will have a good link to the main road.